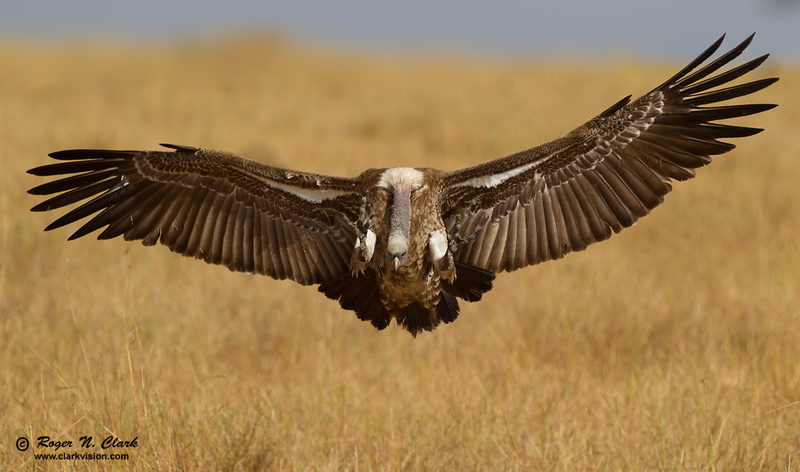 A vulture flies in to a kill in the northern Serengeti, Tanzania. August, 2012. Technical. Canon 1D Mark IV, 300 mm f/2.8 L IS lens with 1.4x TC, 420 mm at f/5.6, 1/1600 second exposure (manual), at ISO 200. Hand held. Full width image, small crop off bottom.